Sean Cullen, Coleen Devlin and Ceri Paterson all received their glass blowing skills awards! Sean, Coleen and Ceri are integral to the first stage of our glassblowing training scheme being ran here at Quartztec Europe, the training scheme began over twenty-four months ago with Sean, Coleen and Ceri all at different skill levels to each other, they have all excelled in their training and are proving to be valuable members of the Quartztec Europe team. 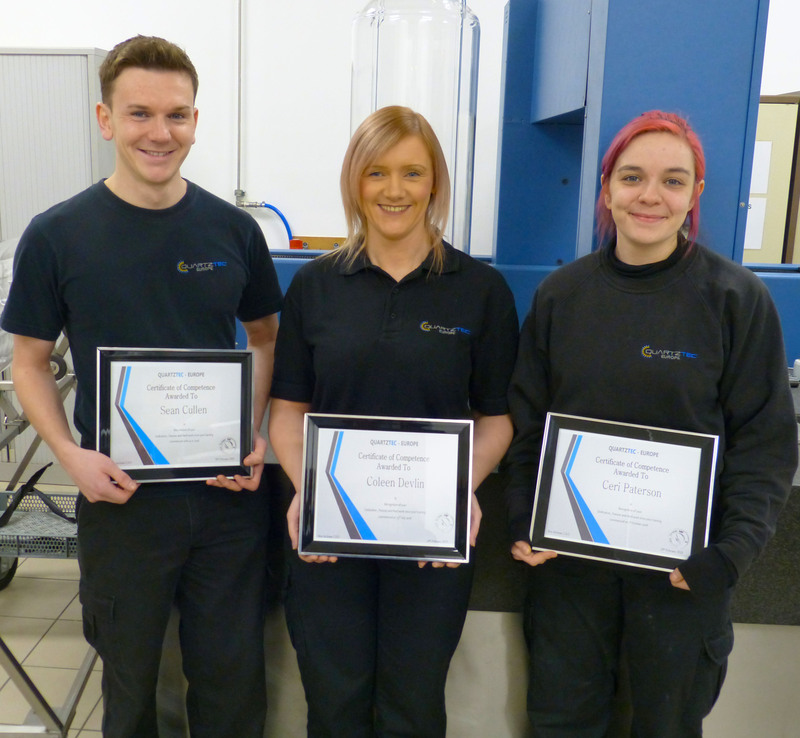 “We are all aware as a team how dedicated and hardworking Sean, Coleen and Ceri have been over the past months as they train within our glassblowing department, we sincerely appreciate their loyalty, commitment and embracing our approach of Right First Time and Continuous Improvement. Congratulations to Sean, Coleen and Ceri on their achievement. Here at Quartztec we will have a further three new additions to the team in the coming months to enhance our workforce even further and fulfil our manufacturing strategy moving forward into 2019/2020.